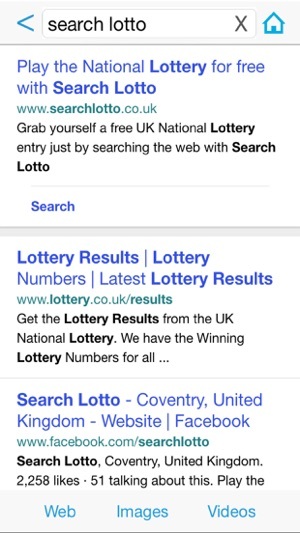 No gimmicks, catches or charges, just a great simple way to play the UK National Lottery without spending a penny! We believe everyone should be given the chance to win the jackpot and that's why we are giving away free tickets to a draw of your choice. 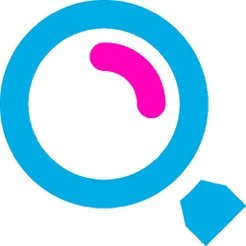 Simply search the web as you would with any other search engine. Our results are powered by Yahoo! so you can be sure of getting the best search experience. For every 25 searches that you perform, we will give you an entry into your choice of either the EuroMillions or the Lotto draw. You are able to print a copy of your ticket and check your numbers by watching the draw live on TV! 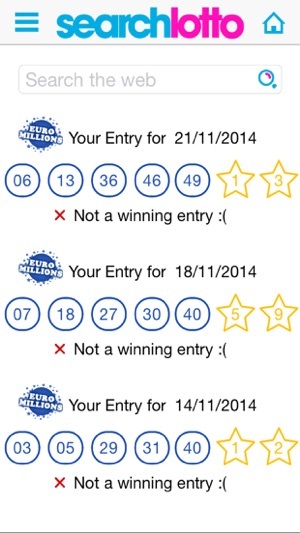 Create your free account now and start playing the National Lottery each week for free! 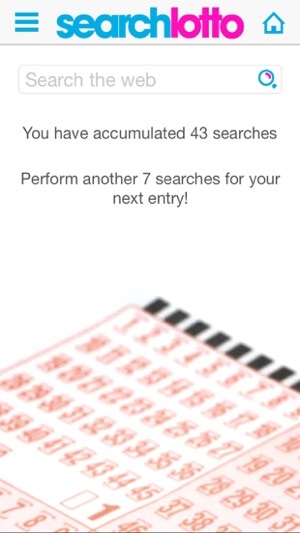 SearchLotto is a great app which allows you to earn points towards entries in the National Lottery and EuroMillions simply by using the app as a search engine. Very easy to use, quick to load, no complaints so far. 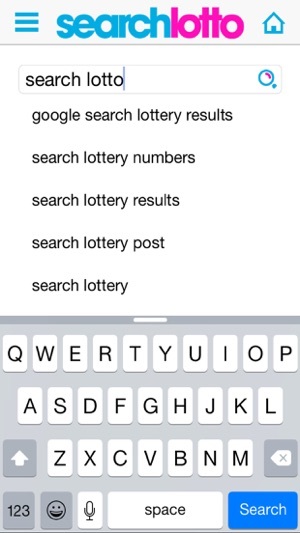 The idea idea is great, lottery entries for web searches. However the app itself is pretty poor, slow, unresponsive regularly crashes. The yahoo driven search results are also not as good as if you used google.